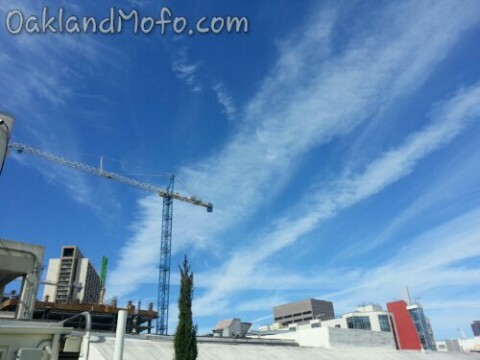 Man made clouds, aka chemtrails expanding and taking over the West Coast sky. KRON 4 News from the San Francisco Bay Area banned me from their Facebook immediately for posting this link on a discussion where people were debating the topic. It seemed very one sided and misinformed so I replied and was immediately banned. See how the media controls even what you see from your peers and others? While walking home this morning I noticed heavy activity above. Several airplanes at high altitudes crisscrossing, leaving clouds, making circles, flying back to back and basically covering the skies over Oakland, California and the entire San Francisco Bay Area. I think people should be aware of this, look up, watch and be observant. Commercial airliners do NOT fly circles over major cities. These are missions of some sort and they are creating a man made cloud cover before our very eyes, yet no one notices. Now with that being said, the video below was taken by me on top of Mt Tamalpais a few months back. Contrail and chemtrail together from the top of Mt. Tamalpais. I shot it because you could see the distinct difference between a contrail and a chemtrail or as I call them “man made cloud”. One dissipates as a condensation trail should and would. Some may argue that it is vortices but that is a contrail that dissipated mixed with a chemtrail. Vortices are small thin trails left from wing tips of say Fighter jets flying at extremely high speeds. The other(chemtrails?) spreads out and sticks around becoming a huge haze cloud cover and eventually falling to the ground over the course of the day creating a really hazy low visibility evening. Most people just brush this off as “Marine Layer“, but come on pay attention! It’s particulates from above and you can watch it being laid out in a grid like fashion by planes circling at high altitudes. I have even seen with my own eyes these planes turn on and off the cloud left behind. How is that contrails? Here they admit they have been “seeding clouds” in California for decades. The US Government knows the cloud particles are bad for the environment and have even been studying them, yet they also cloud seed. If you want a sort of video panoramic view of the San Francisco Bay Area from Mt Tamalpais check out my short video here. San Francisco Bay Area from Mt Tam. In this video you can see the nasty haze the day of heavy chemtrailing has left behind. This is not normal people. We’re breathing all of those particulates in. The start of the day, the skies were blue and there was clear visibility. It was the perfect day for a hike, hence me going on one. But by mid afternoon, with all of the heavy sky activity going on, this is what we were left with. Report from Bay Area FOX Affiliate KTVU News. 100% Proof that Chemtrails or man made clouds / cloud seeding is real in California. They openly admit to such projects for rain making and snow making to increase water output in the California Agricultural industry. Report from KSLA News 12 in Louisiana. 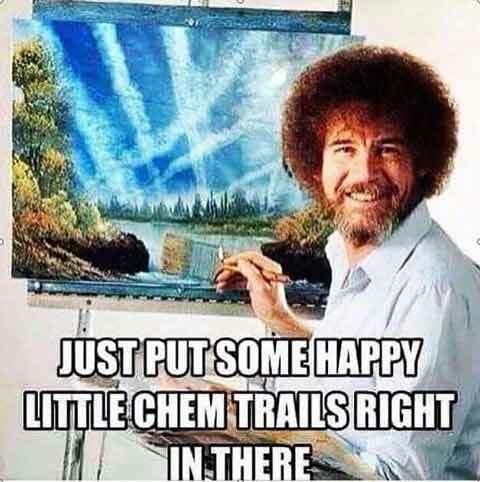 Another news report where they address chemtrails, barium and aluminum in the water supply. 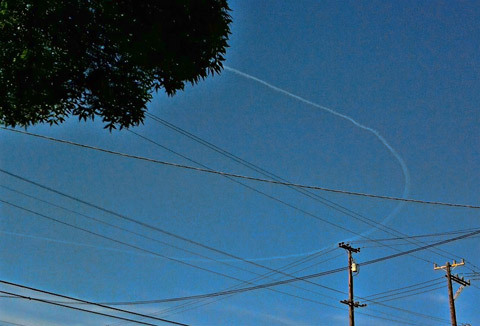 Here you can see one of the many planes making large circles over the Bay Area this morning. Commercial flights do not do this over major metropolitan areas. These experimental off track airplanes that leave behind huge clouds are clearly making unusual flight patterns and crisscrossing the skies. Just look up, pay attention, watch the strange plane activity in the sky above. A video to scare you. But it’s holding truth. It’s short enough to share with someone who doesn’t know about chemtrails or is just hearing about them for the first time. More admittance by Weatherman. Video here. In this video, Rosalind Peterson, an avid environmental activist against cloud seeding and man made clouds speaks out at a conference. She really has a lot of important information and key points to make regarding human environmental destruction. This is a full length documentary. It’s worth a watch.